The Grand Army of the Republic Cemetery (better known as the GAR Cemetery) on Capitol Hill was established for veterans who fought in the deadliest war in American history — the Civil War. While I know it is a little strange to write a post about a cemetery, this place is just way too interesting not to share. Let’s be honest — no one ever equates Seattle with the Civil War, and for good reason. The Union and Confederate armies did most of their fighting east of the Mississippi River between 1861-1865. While no battles came close to here (Washington didn’t even become a state until 1889), many soldiers made the trek west after the war to start a new life. Several of those veterans settled right here in Western Washington. 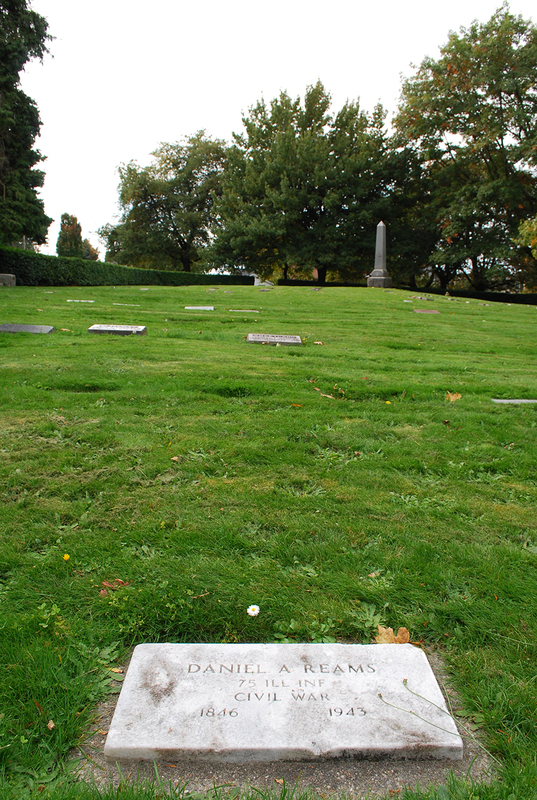 In 1895, five Grand Army of the Republic posts (a fraternal organization made up of Civil War veterans) in Seattle established the GAR Cemetery to honor their brothers in arms. 526 Civil War veterans are interred there. 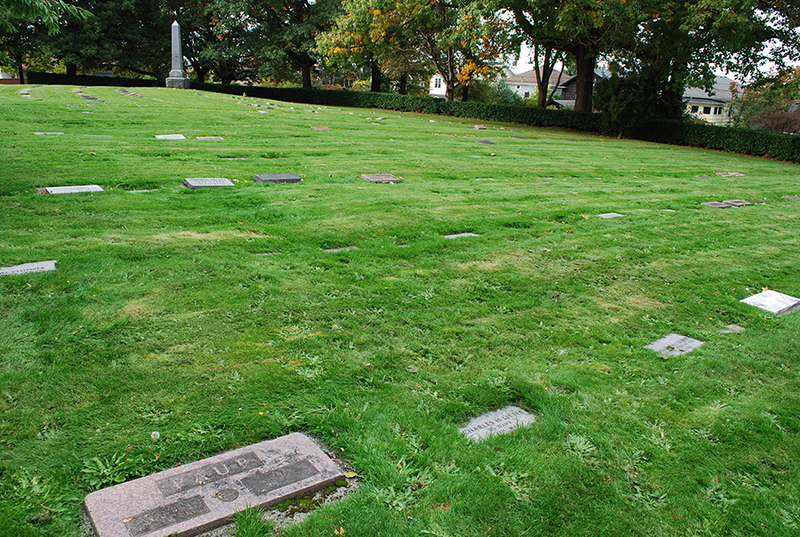 The GAR Cemetery was handed over to the city in 1922, and it fell into disrepair over the years. In the 1990s, a group of concerned citizens called the Friends of the GAR Cemetery came together to clean up the property. They’ve replaced more than 100 gravestones since then, and they still raise and lower the American flag there every day. 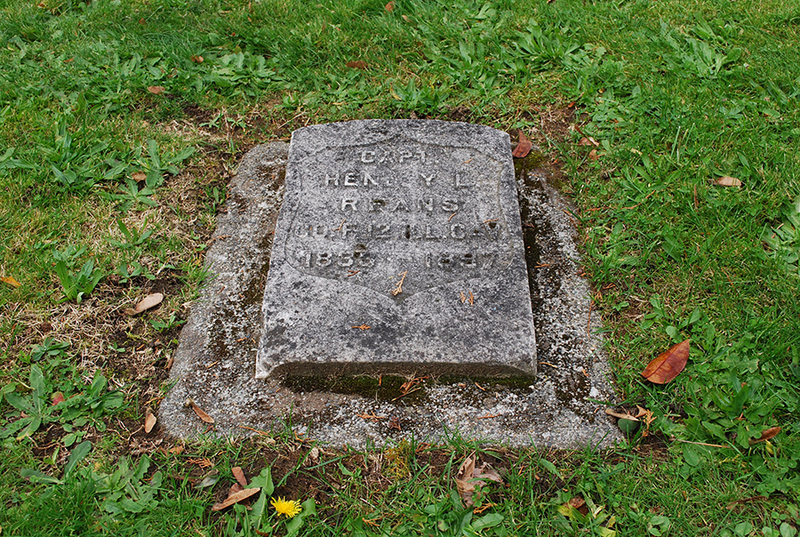 Henley L. Reans enlisted in the 12th Illinois Cavalry Regiment (Union Army) on December 31, 1861, at the age of 29. He entered as a lieutenant and was promoted to captain on June 28, 1862. 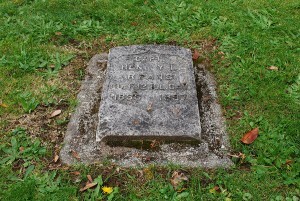 Reans retired from the military on June 2, 1864. From 1862 to 1864 (the time Reans served), the 12th Illinois Cavalry Regiment was known to have fought in the Battle of Harpers Ferry (a Confederate win led by the famous General Thomas “Stonewall” Jackson), the Battle of Gettysburg (yes, that Gettysburg), the Battle of Antietam (the bloodiest single-day battle in American history), and the Battle of Fredericksburg (remembered as one of the most lopsided battles of the Civil War — won by the Confederates), among several other campaigns. Levi Engle was a private in the 88th Indiana Infantry Regiment. He enrolled in the militia in DeKalb, Indiana, when he was 22-years-old (possibly with his 19-year-old brother John). 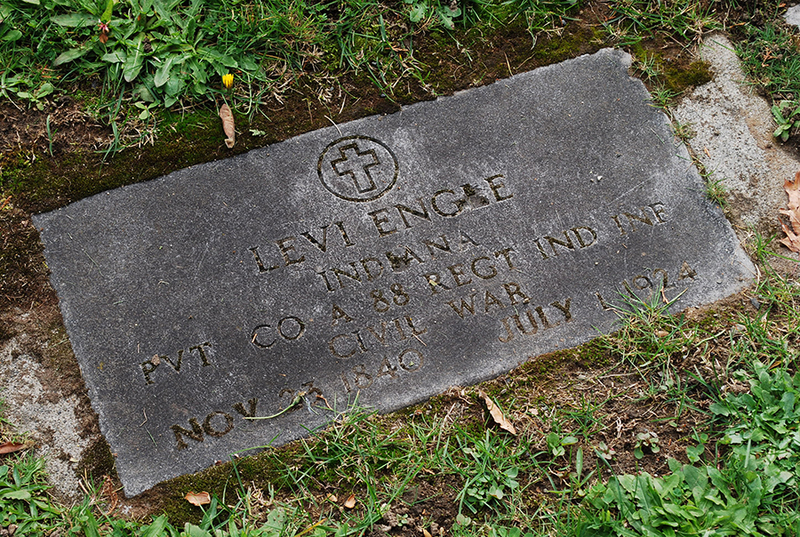 Engle fought for the Union Army from July 20, 1862, to April 2, 1863. In that time, the 88th Indiana Infantry Regiment fought in the Battle of Perryville (considered one of the bloodiest battles in the Civil War) and the Battle of Stones River (which had the highest percentage of casualties of all the major battles in the Civil War). According to the U.S. Census, Engle became a carpenter after the war. He moved to King County in the 1880s and died in Seattle in 1924 at the age of 83. Every single veteran interred at the GAR Cemetery has a history like this, or even more incredible. You can find a Medal of Honor recipient (Frank Bois), and three members of the United States Color Troops (regiments of the Union Army made up of African-American soldiers) buried at the GAR Cemetery. These aren’t just men who exist in a history book, they’re real heroes who helped shape our country. From the outside looking in, there’s nothing flashy about the GAR Cemetery. It’s a small burial ground tucked away on a quiet road in a Capitol Hill neighborhood. While small and ordinary looking, the GAR Cemetery is far from ordinary. It allows us to take a step back in time — to the Civil War — like nowhere else in Seattle. It’s well worth a visit, especially if you’re a history buff like me. Have you ever visited GAR Cemetery on Capitol Hill? What did you take away from your visit? We’d love to hear from you. Please leave a comment below or connect with us on Facebook, Twitter and Google+. Don’t forget to visit Seattle Bloggers for more neat places to check out in the Emerald City. In 1996, the parks department proposed that the park become an off-leash dog-run; in response to this, the Friends of the GAR Cemetery Park fo rmed the next year.